Please visit our website www.cityofsaints.org for more information. Total Amount of $225 per participant is due at the time of registration. Spaces are non-refundable. Spaces are also group specific, meaning that they may not be sold or transferred to another group. Groups are welcome to register participants from another parish or school as part of their group. In the input fields above, please make sure to enter the name and the contact information for the Group Leader. The Group Leader is the person who will be responsible for collecting forms, overseeing the teens at the City of Saints Teen Conference and can serve as the main contact with the Office of Religious Education. Do not enter the information for the person whose credit card will be used to process this transaction unless that person will serve both roles. If registering a group, just enter the size of your group in the quantity field (1-500). Remember to include your chaperones in this order. Chaperones must be 21 years of age or older. Groups must include at least 1 male chaperone if bringing male participants. Groups must have at least 1 female chaperone if bringing female participants. Chaperones must accompany the young people at all times. All other safe environment policies apply. If mailing a check, payment must be received within 2 weeks of registering. Any account outstanding after 2 weeks will be canceled and spaces will be released. Please make checks payable to the Office of Religious Education. Payment options are available. For more information, please call 213-637-7301. Parish/ Schools are responsible for the full payment for all spaces purchases during regular registration (after February 1st). Refunds are not available. If a young person cancels and you wish to fill their space with a substitution, please notify the Youth Ministry Division of the Office of Religious Education of your change. No changes or substitutions will be accepted past June 15th. Deadline for paperwork and payment of final balance is June 15, 2019. Please visit our website www.cityofsaints.org for participant paperwork, group leader packets, scholarship forms and other information. Make sure to download our new editable flyer, which can be customized for your ministry group. 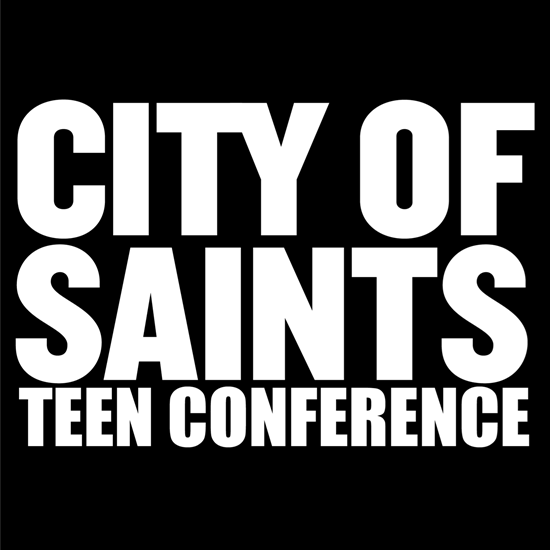 What is City of Saints Teen Conference? City of Saints is a Catholic teen conference hosted by Archbishop Jose Gomez and the Youth Ministry Division in the Archdiocese of Los Angeles. This event is a wonderful and local opportunity for young people to deepen their relationship with Jesus. The conference will feature dynamic speakers, liturgical experiences, music, and more, set in an atmosphere where teens can learn about and experience the Eucharist and the beauty of the Catholic faith with its rich symbols and traditions. The theme “City of Saints” reminds us that we live in a city named after saints, not only Los Angeles, (named for Our Lady, of course) but also Santa Monica, San Pedro, San Fernando, Santa Barbara, etc. We remember that all teens are called to be saints in our cities. This conference will help these young people express this sainthood in their everyday lives. It is the goal of the City of Saints teen conference to provide an opportunity for young people to deepen their relationship with Jesus. Pope Francis reminds us that “God is not afraid of new things! That is why he is continually surprising us, opening our hearts and guiding us in unexpected ways.” Many of the cities across the Archdiocese of Los Angeles are named for saints, and all teens are called to be saints in the city in which they live. City of Saints teen conference will help young people express this sainthood in their everyday lives.